Jarvis Smith is a force to be reckoned with, no doubt about that. In just ten years he’s taken a little bit of inspiration to do good things and created whole avenues of change. 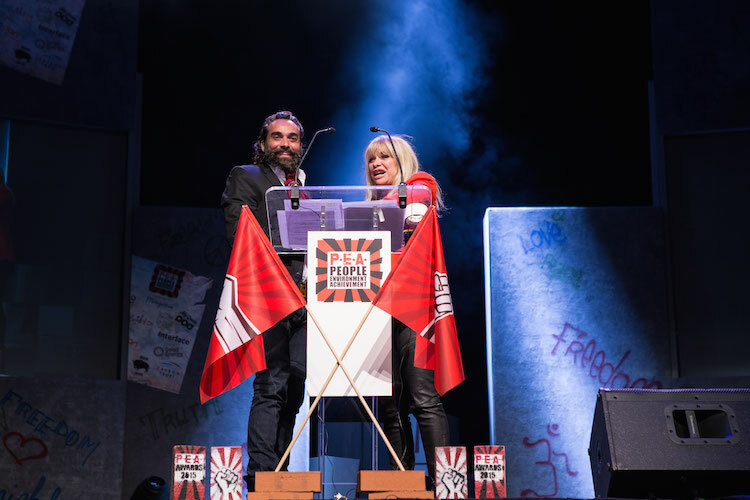 Founder of MyGreenPod, the ethical and sustainable news and lifestyle site; singer songwriter working with ex-Wailers frontman Julian Jr Marvin; reality tv influencer, spurning the rules to bring people together; media mogul turning the advertising game on its head; and founder of the P.E.A awards – the biggest sustainability awards in the UK. Phewf. And that’s really just the tip of the iceberg. We could write a book – he probably has (he definitely should), such is the prolific nature of his entrepreneurship. But we’re here today to talk about the P.E.A awards. If you want to find out more about Jarvis and his journey, check out our BareAll write-up – he was one of our incredible speakers inspiring us to join him in an enlightened way of being. As a massively successful entrepreneur, Jarvis was no stranger to award ceremonies but he couldn’t help but notice big prizes went to big budgets. With integrity always in his heart, Jarvis was determined to change the status quo. He knew who did frontline shifting of perspectives and pioneering change: the people, the real actual people. Not the big-name corporates, not the fat cats raised up through nepotism and privilege – the teams putting the work in and the individuals who really care. And so, the P.E.A awards were born. 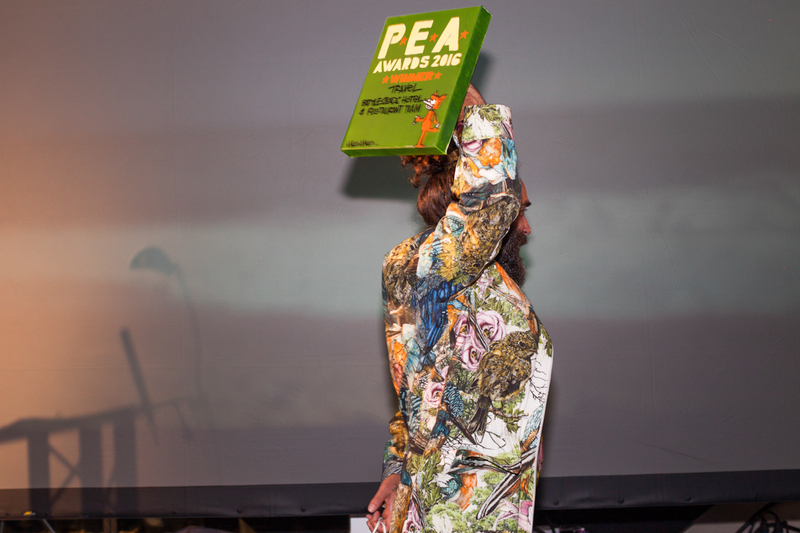 The P.E.A awards launched in 2009 and are now the largest sustainability awards in the UK. With categories covering all walks of life: nature, the arts, family, energy, money, pioneering, travel and food, these awards genuinely recognise the people who deserve it most. Juliet Davenport OBE (CEO of Good Energy), Cat Fletcher (Freegle founder) and Polly Higgins (environmental lawyer) are amongst the winners ‘committed to revolutionising old models and systems’. Each event has a theme, this years is the Mexican Day of the Dead style party to bring people together; to acknowledge we still have far to go, while celebrating the good we can do. 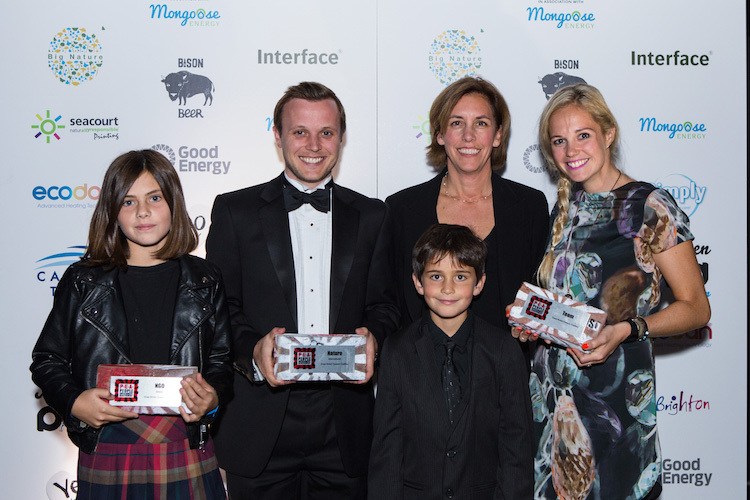 Sponsoring the P.E.A awards are a host of legendary ethical companies including Yeo Valley, Carbon Trust, Wyke Farms, Weleda, and Octopus Energy. Jarvis and his team pick collaborators, judges and winners meticulously for validation of values and ethos; he’s been known to reject some big donations from big companies that didn’t reach his scrupulous standards. We love this guy. The P.E.A awards do more than hand out well-deserved accolades to worthy nominees though; they are driving actual, tangible change. Putting money where their mouths are, the sponsors of the event are bringing people to come together to achieve 100% renewable energy and do a collective energy switch, guaranteeing renewable energy and cheaper tariffs for those who give a monkeys about the planet and want to do something about it. So you see, to attend the P.E.A awards is to be truly inspired. 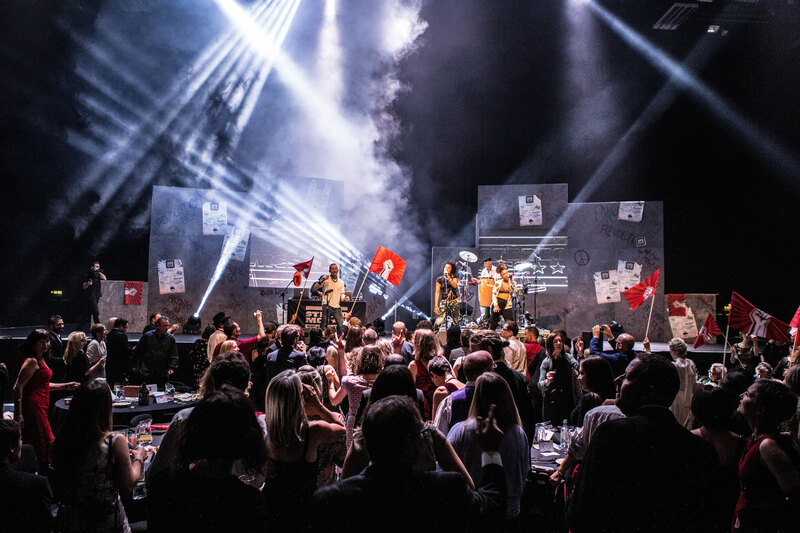 We’ll be there on the 13th October to celebrate those making a difference and if you know someone who fits the bill of ‘raising awareness, travelling responsibly and proving ethical best practice to creating technologies, designing products and services and developing specific campaigns’, get them recognised, shout about them – nominate them here (it’s free to enter, natch). As friends of ours you also get a 30% reduction on ticket price by entering PEA-DOD-30 when you book – see you there!